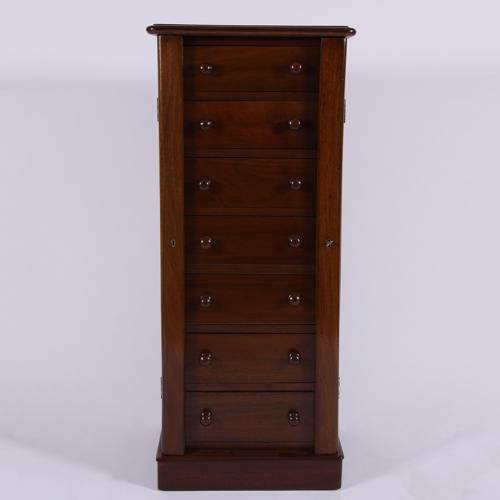 Mahogany wellington chest with seven drawers. Drawer locking system on one side with lock and key in working order. Mock lock on left hand side.